Latest developments in the field of stem cell research and regenerative medicine compiled from publicly available information and press releases from nonacademic institutions in February 2019. Pluristem Therapeutics (Israel; www.pluristem.com) has collaborating with the NASA’s Ames Research Center to evaluate the potential of Pluristem’s PLX cell therapies in preventing and treating medical conditions caused during space missions . During space mission astronauts are exposed to a challenging environment that includes radiation and microgravity, leading to muscle and bone loss as well as other potentially serious medical conditions. The collaboration will explore the possibility that PLX cell therapies can address these and other persistent negative effects of space travel on the human body. Torque (MA, USA; www.torquetx.com), a clinical-stage immuno-oncology company developing first-in-class Deep Primed™ T Cell Therapeutics to direct immune power deep within the tumor microenvironment, has announced that it has entered into a clinical trial collaboration agreement with Merck (Germany; www.merck.com) . The collaboration will evaluate Torque’s Deep IL-15 Primed T Cells (TRQ-1501) both as a single agent and in combination with KEYTRUDA® (pembrolizumab), Merck’s anti-PD-1 therapy, in a Phase I/II study in multiple solid tumor indications. TRQ-1501 is an investigational immune cell therapy produced from a patient’s own T cells, which are primed to be active against multiple tumor-associated antigens and loaded with Deep IL-15 (a multimer of IL-15 cytokine) anchored to the T cells’ surface. Morphocell Technologies (QC, Canada; www.morphocell.com) has negotiated a worldwide exclusive license agreement with Univalor (the technology transfer organization of Université de Montréal; www.univalor.ca) for the commercialization of the stem cell-derived liver tissue technology developed by Centre Hospitalier Universitaire Sainte-Justine (https://research.chusj.org/en/Home) . The agreement focuses on bringing this innovative technology to market, in order to allow children and adults with liver disease to benefit from this first-in-class treatment. Morphocell is developing ReLiver™ ELT, an innovative regenerative medicine product that can be consistently generated from human pluripotent stem cells. ReLiver shows in vitrofunctions comparable with primary human hepatocytes and the encapsulation provides immunoisolation, eliminating the risk of rejection and providing protection against ectopic tissue or tumor formation. Mustang Bio (NY, USA; www.mustangbio.com) and Nationwide Children’s Hospital (OH, USA; www.nationwidechildrens.org) Nationwide have partnered and entered into an exclusive worldwide license agreement to develop an oncolytic virus (C134) for the treatment of glioblastoma multiforme . A Phase I clinical trial evaluating C134, an attenuated herpes simplex virus type 1 (HSV-1), in recurrent glioblastoma multiforme is being conducted at the University of Alabama. Subsequent clinical trials will investigate a combination treatment of MB-101, IL13Rα2-specific chimeric antigen receptor engineered T cell (CAR T) and C134. These trials are supported by preclinical studies that have appeared to demonstrate the synergistic potential of an oncolytic virus, which can induce an antitumor immune response when combined with CAR-T therapy to target solid tumors. StemoniX (MN, USA; www.stemonix.com) has presented research during the Society for Laboratory Automation and Screening (SLAS) 2019 annual meeting in San Diego (www.slas2019.org) demonstrating the ability of microBrain 3D to produce a functional in vitro disease model for Rett Syndrome via iPSCs derived from Rett Syndrome patients . Importantly, the findings specifically demonstrated how the microBrain 3D platform and multiparametric analysis rapidly identified novel therapeutic compounds to potentially treat Rett Syndrome, which has no cure and could be applied more broadly as a paradigm to accelerate drug discovery efforts for neurodevelopment disorders in general. Cytonus Therapeutics (CA, USA; www.cytonus.com) has developed Cargocytes™ a first-of-its-kind, controllable, cell-based platform technology for delivery of biologics . Cargocytes are engineered allogenic cell lines that can carry a variety of payloads like small molecule compounds, gene editing therapies, therapeutic RNAs, and powerful biologics such as immune modulating cytokines, antibodies and oncolytic viruses. 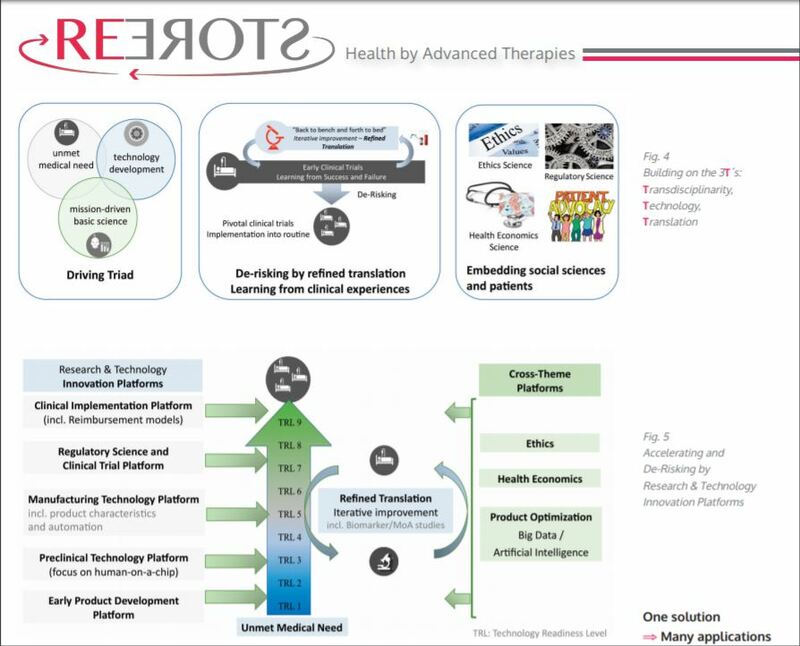 As a platform technology, cargocyte has many therapeutic applications and will be commercialized through a blend of internal and partnered programs. BrainStorm Cell Therapeutics (NY, USA; www.brainstorm-cell.com) has announced that the Cleveland Clinic is the first US clinical site contracted for a planned Phase II open-label, multicenter study of repeated intrathecal administration of autologous MSC-NTF cells in participants with progressive multiple sclerosis . The Phase II study (www.clinicaltrials.gov; NCT03799718) will enroll progressive multiple sclerosis patients Expanded Disability Status Scale 3.0–6.5 based on 2017 revised McDonald Criteria. Multiple sclerosis is a chronic neuroinflammatory and neurodegenerative disorder that affects the brain and spinal cord. Approximately half of affected individuals will eventually develop a progressive disease, which may lead to increasing levels of motor, visual, and cognitive functional impairment and disability. 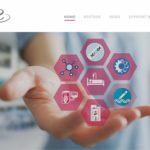 Longeveron (FL, USA; www.longeveron.com) has presented the results of its Phase I and Phase II trials examining the safety and efficacy of its stem cell treatments for Aging Frailty . Trial participants, with an average age of 76, showed marked improvement in physical performance, lung function and reduction of inflammation, all significant biomarkers of Frailty. The company is now recruiting for an expanded Phase IIb Aging Frailty study (www.clinicaltrials.gov; ID: NCT03169231). The company has also reviewed the progress of its Phase I clinical trial to evaluate the safety and efficacy of its MSC in patients with Alzheimer’s disease (www.clinicaltrials.gov; ID: NCT02600130), and its Phase I and Phase II trials to evaluate the safety and efficacy of its stem cells for improving flu vaccine immune response in older patients. Longeveron’s MSC product is derived from the bone marrow of young, healthy adult donors. Mesoblast (Australia; www.mesoblast.com) has announced that the last patient has been dosed in the Phase III events-driven trial of its allogeneic cell therapy product candidate Revascor for advanced chronic heart failure (www.clinicaltrials.gov; ID: NCT02032004) . The 566-patient trial will complete when sufficient primary end point events have accrued, which is likely to be within 12 months. Results from a prior Phase II trial identified the patients most likely to benefit from Revascor as being those at high risk of recurrent hospitalization events and death. These results guided the trial design and selection criteria for enrollment of high-risk patients in the current Phase III trial in order to maximize the probability that the Phase III results would confirm the Phase II results. Consequently, the company believes that the total number of randomized patients enrolled in the Phase III trial is sufficient to show whether Revascor is superior to placebo in the trial’s primary end point of reduction in heart failure-related hospital admissions, and in the key secondary end point of reduction in cardiac deaths. In April 2017, the Phase III trial was successful in a prespecified futility analysis of the primary efficacy end point in the first 270 patients. Cellect (Israel; www.cellect.co) has announced a collaboration with Washington University (MO, USA; www.umt.edu), aimed at determining the safety and tolerability in a US Phase I/II study using ApoGraft™ for bone marrow transplantations . ApoGraft stem cell selection technology, which is designed to prevent acute graft-versus-host disease following bone marrow transplantation utilizes FasL-coated magnetic beads for maximizing efficacy and scalability. Previously, the company has reported positive safety and tolerability data from an ongoing trial that is being performed outside the USA and expects to report additional interim results during the first half of 2019. This open label clinical trial of 12 patients, expected to complete recruitment during the second quarter of 2019, is designed to evaluate the safety and tolerability of the ApoGraft™ process in patients with hematological malignancies who are undergoing an allogeneic hematopoietic stem cell transplantation (HSCT). The primary end point of the study is overall incidence, frequency and severity of adverse events potentially related to ApoGraft at 180 days from transplantation. CRISPR Therapeutics (Switzerland; www.crisprtx.com) and Vertex Pharmaceuticals (MA, USA; www.vrtx.com) have announced that the first patient has been treated with CTX001 in a Phase I/II clinical study of patients with transfusion-dependent β thalassemia (TDT), marking the first company-sponsored use of a CRISPR/Cas9 therapy in a clinical trial [12,13]. In parallel, the companies are investigating CTX001 for the treatment of severe sickle cell disease (SCD) and also announced that the first patient has been enrolled in a Phase I/II clinical study of CTX001 in severe SCD in the USA and expected to be infused with CTX001 in mid-2019. CTX001 is an investigational ex vivo CRISPR gene-edited therapy that is being evaluated for patients suffering from TDT or severe SCD in which a patient’s hematopoietic stem cells are engineered to produce high levels of fetal hemoglobin (hemoglobin F [HbF]) in red blood cells. HbF is a form of the oxygen carrying hemoglobin that is naturally present at birth and then replaced by the adult form of hemoglobin. The elevation of HbF by CTX001 has the potential to alleviate transfusion requirements for TDT patients and painful and debilitating sickle crises for SCD patients. CTX001 is being developed under a codevelopment and co-commercialization agreement between CRISPR Therapeutics and Vertex. Gamida Cell (Israel; www.gamida-cell.com) has presented that new data from its NAM-NK and NiCord®programs . Data from the first 14 patients in the ongoing Phase I study of NAM-NK, an investigational, cell-based cancer immunotherapy, in patients with non-Hodgkin lymphoma and multiple myeloma demonstrated that NAM-NK was highly active, with three complete responses observed in patients with non-Hodgkin lymphoma and one complete response in a patient with multiple myeloma (www.clinicaltrials.gov; ID: NCT02730299). These data, along with additional safety data showing that NAM-NK was generally well tolerated, support continued clinical development. Gamida Cell is planning to initiate a multicenter, Phase I/II clinical study of NAM-NK in 2020. NAM-NK cells are natural killer cells that have been expanded using Gamida Cell’s proprietary nicotinamide-based or NAM, technology. The company plans to enroll 12 patients in the ongoing Phase II study in inherited metabolic disorders, which include cALD, metachromatic leukodystrophy and globoid cell leukodystrophy. The study previously enrolled patients with Hurler syndrome. The primary end point of the study is engraftment after transplantation. Both short- and long-term disease specific outcomes are also being collected. Orchard Therapeutics (UK; www.orchard-tx.com) has presented 2-year follow-up data in 20 patients from the registrational trial evaluating OTL-101, an autologous, ex vivo, hematopoietic stem cell gene therapy for the treatment of severe combined immune deficiency due to adenosine deaminase deficiency (ADA-SCID) (www.clinicaltrials.gov; ID: NCT01852071 and NCT02999984) . ADA-SCID is a rare, life-threatening, inherited disease caused by mutations in the ADA gene. Deficiencies of the ADA enzyme lead to dysfunction of cells of the immune system, including B, T and natural killer cells. Patients with ADA-SCID are unable to fight off and frequently succumb to complications from bacterial, viral and fungal infections. The patients in this trial approaching 5 years of follow-up, treatment with OTL-101 continues to be well tolerated with higher rates of overall and event free survival for patients with ADA-SCID compared with a historical control group of patients receiving hematopoietic stem cell transplants. With 100% overall survival and 100% event free survival in this trial maintained at 24 months, OTL-101 has the potential to enable patients with ADA-SCID to lead healthier lives with restored immunity to fight infections. The reported data are the complete 24-month results from a trial evaluating the safety and efficacy of OTL-101. OTL-101 was administered post-busulfan conditioning in 20 pediatric patients, who lacked a medically eligible donor for bone marrow transplantation. Patients were followed for 24 months post treatment and compared with a historical control cohort of 26 patients with ADA-SCID who HSCT, 12 from and 14 without a matched related donor. The median age at treatment for patients receiving OTL-101 was 9.0 and 7.3 months for patients treated with HSCT. The company also presented additional clinical proof-of-concept data evaluating OTL-102, an ex vivo, autologous, hematopoietic stem cell-based gene therapy for the treatment of X-linked chronic granulomatous disease (X-CGD) . X-CGD is a rare, life-threatening, inherited immunodeficiency disorder caused by a genetic mutation that results in the inability of neutrophils to effectively kill bacterial and fungal infections. Patients with X-CGD are prone to recurrent severe infections and complications, leading to frequent hospitalizations, significant morbidity and early mortality. The safety and efficacy of OTL-102, which utilizes a self-inactivating lentiviral vector (G1XCGD), was assessed in seven evaluable patients (aged 2–27 years) with X-CGD. As previously reported, two additional patients died within three months of treatment from complications deemed by the investigator to be related to pre-existing comorbidities due to advanced disease progression and unrelated to OTL-102. As of the last follow-up, those six patients were no longer receiving CGD-related prophylactic antibiotic treatment. One serious adverse event of immune reconstitution inflammatory syndrome fully resolved with steroids. Kadimastem (Israel; www.kadimastem.com) has completed cell transplantation (AstroRx®) in five patients who were enrolled in Cohort A for its clinical trial in ALS . AstroRx contains functional healthy astrocytes (nervous system support cells) derived from human embryonic stem cells that aim to protect ALS-diseased motor neurons through several mechanisms. The company’s technology enables the injection of AstroRx®cells into the patient’s spinal fluid with the goal of supporting the malfunctioning cells in the brain and spinal cord, slowing the progression of the disease and improving the patient’s quality of life and life expectancy. The Phase I/IIa clinical trial is expected to include a total of 21 patients. The objective of the trial is to evaluate the safety and efficacy of AstroRx in patients. Results for Cohort A of the trial are expected within around half a year. Capricor Therapeutics (CA, USA; www.caprocor.com) has resumed per protocol dosing of patients already enrolled in its HOPE-2 clinical trial of CAP-1002 (www.clinicaltrials.gov; ID: NCT03406780), the company’s novel cell therapy candidate to treat Duchenne muscular dystrophy . CAP-1002 consists of allogeneic cardiosphere-derived cells, or CDCs, a type of progenitor cell that has been shown in preclinical and clinical studies to exert potent immuno-modulatory activity and being investigated for its potential to modify the immune system’s activity to encourage cellular regeneration. Approximately 20 young men and boys in advanced stages of Duchenne muscular dystrophy have already been enrolled in the randomized, double-blind, placebo-controlled trial to date. Capricor had put a voluntary hold on dosing in December after a patient in the HOPE-2 trial had a serious adverse event in the form of anaphylaxis. The investigation suggested the patient may have been allergic to something contained in the investigational product, including an excipient, or inactive ingredient, in the formulation. To reduce the risk of future events, Capricor initiated a premedication strategy commonly used by physicians to prevent and treat allergic reactions. The US FDA and the Data and Safety Monitoring Board (DSMB) have granted permission to resume enrollment in the HOPE-2 study. The HOPE-2 trial is studying the safety and effectiveness of CAP-1002 in older Duchenne patients who are not currently eligible for gene therapy clinical trials. Enrollment of new patients will depend on various factors but will not commence until additional funding is secured. Two participants had elevated liver enzymes, one of which was designated a serious adverse event (SAE), as the patient had associated transient increase in bilirubin. Both events occurred when the participants were tapered off oral steroids and, in both instances, elevated liver enzymes returned to baseline and symptoms resolved quickly following supplemental steroid treatment. There were no other clinically significant laboratory findings and no decreases in platelet counts were observed. US FDA (www.fda.gov) has finalized two guidance documents regarding regenerative medicine therapies. Both documents were first issued in draft in November 2017 as part of a suite of guidance that comprised the US FDA’s comprehensive regenerative medicine policy framework. The first final guidance, Evaluation of Devices Used with Regenerative Medicine Advanced Therapies , which is required by the 21st Century Cures Act, clarifies how the US FDA will evaluate devices used in the recovery, isolation or delivery of regenerative medicine advanced therapies (RMATs).The guidance specifies that devices intended for use with a specific RMAT may, together with the RMAT, be considered to comprise a combination product. The second final guidance, Expedited Programs for Regenerative Medicine Therapies for Serious Conditions , describes the expedited programs that may be available to sponsors of regenerative medicine therapies for serious conditions, including the new Regenerative Medicine Advanced created by the 21st Century Cures Act, Priority Review designation and Accelerated Approval. In addition, the guidance describes the regenerative medicine therapies that may be eligible for RMAT designation. Fate Therapeutics (CA, USA; www.fatetherapeutics.com) has announced that the US FDA has allowed its Investigational New Drug (IND) application for FT516, the company’s off-the-shelf natural killer (NK) cell product candidate derived from a clonal master iPSC line engineered to express a novel CD16 Fc receptor . FT516 is the first-ever cell therapy derived from a genetically engineered pluripotent stem cell cleared for clinical testing in the world and company’s second off-the-shelf, iPSC-derived NK cell product candidate cleared for clinical investigation by the US FDA. The Company intends to initiate clinical testing of FT516 in patients with certain relapsed/refractory hematologic malignancies, including acute myelogenous leukemia as a monotherapy, non-Hodgkin’s lymphoma in combination with rituximab (a chimeric monoclonal anti-CD20 antibody, which is primarily found on the surface of B cells), and multiple myeloma in combination with elotuzumab (SLAMF7-directed immunostimulatory humanized monoclonal antibody used in relapsed multiple myeloma). CD16 is naturally expressed on NK cells and mediates antibody-dependent cellular cytotoxicity, a potent immune mechanism through which NK cells can recognize, bind and kill antibody-coated cancer cells. The expression of CD16 on NK cells can undergo considerable down-regulation in cancer patients, which significantly inhibits the immune system’s anti-tumor response. FT516 incorporates a novel CD16 Fc receptor, which has been modified to prevent its down-regulation and to augment its binding to tumor-targeting antibodies, for enhanced antibody-dependent cellular cytotoxicity. The Japanese government’s health ministry has given the go-ahead for a trial of human iPSC-derived neural cells to treat spinal cord injury . Researcher team at Keio University plan to recruit four adults who have sustained recent nerve damage in sports or traffic accidents, removing differentiated cells from patients and reprogram them via iPSCs into neural cells. Clinicians will then inject about 2 millions of the cells into each patient’s site of injury. The approach has been successfully tested in a monkey. Neurotech Pharmaceuticals (RI, USA; www.neurotechusa.com), has received from the US FDA a Fast Track designation for the NT-501 or Renexus® for the treatment of macular telangiectasia type 2 (MacTel) . Fast track is a designation by the US FDA to facilitate the development and expedite the review of drugs to treat serious or life-threatening conditions and fill an unmet medical need. Renexus is a novel cell-based drug delivery system. Human-derived cells encapsulated in a semipermeable hollow fiber membrane device release ciliary neurotrophic factor (CNTF) demonstrated to reduce photoreceptor cell loss in animal models of retinal degeneration. The implanted Renexus device results in sustained delivery of CNTF localized to the retina. MacTel is a rare macular degenerative disease typically diagnosed in middle age. Patients rarely experience total vision loss, but the disease nonetheless has a significant impact, through visual loss, on a patient’s quality of life. In a multicenter, randomized, controlled Phase II clinical study of MacTel, Renexus was shown to slow the progression of retinal degeneration compared with participants who received the sham treatment. Based on the positive Phase II results, two parallel Phase III studies were initiated and are currently enrolling patients in the USA, Australia, and Europe to determine the safety and efficacy of Renexus 1002 (www.clinicaltrials.gov; ID: NCT03319849 and NCT03316300). These studies are sponsored by Neurotech in collaboration with the Lowy Medical Research Institute (LMRI; CA, USA; www.lmri.net). Precigen (MD, USA; www.precigen.com), a wholly owned subsidiary of Intrexon Corporation (MD, USA; www.dna.com) has announced that the US FDA has cleared the IND application for Precigen’s PRGN-3005, a first-in-class investigational therapy using autologous chimeric antigen receptor T (CAR-T) cells to treat advanced-stage platinum-resistant ovarian cancer patients . PRGN-3005 is the second candidate to clear IND utilizing Precigen’s transformative UltraCAR-T™ platform that reduces manufacturing time to less than two days following nonviral gene transfer. PRGN-3005 UltraCAR-T is a multigenic CAR-T cell treatment utilizing Precigen’s clinically validated Sleeping Beauty system to coexpress a chimeric antigen receptor, membrane-bound interleukin-15 (mbIL15), and a kill switch for better precision and control in targeting advanced ovarian cancer. This will be an open-label, first-in-human Phase I dose escalation study to evaluate the safety and maximal tolerated dose of PRGN-3005 UltraCAR-T.
ThermoGenesis (CA, USA; www.thermogenesis.com), owned by Cesca Therapeutics (CA, USA; www.cescatherapeutics.com), has received Health Canada approval of its PXP® System for point-of-care harvesting of purified mononuclear cells and platelets from blood or bone marrow . The ThermoGenesis PXP System is a semiautomated, functionally-closed system that harvests a precise volume of cell concentrate from a fixed sample of bone marrow aspirate. PXP can generate a concentration of bone marrow in less than 20 min, with consistently high mononuclear cell (MNC) and CD34+ progenitor cell recovery rates and greater than 98% depletion of contaminating RBCs and 80% depletion of granulocytes (GRN). PXP, together with Cesca’s CAR-TXpress™ and related X-Series systems, comprise an advanced and clinically differentiated portfolio of cellular processing solutions. The US FDA (www.fda.gov) has recently become aware of reports of establishments in several states that are offering infusions of plasma from young donors to purportedly treat the effects of a variety of conditions. The conditions range from normal aging and memory loss to serious diseases like dementia, Parkinson’s disease, multiple sclerosis, Alzheimer’s disease, heart disease or post-traumatic stress disorder. The US FDA had significant public health concerns about the promotion and use of plasma for these purposes and have issued a statement that the reported uses of these products should not be assumed to be safe or effective . There is no proven clinical benefit of infusion of plasma from young donors to cure, mitigate, treat, or prevent these conditions, and there are risks associated with the use of any plasma product. Cell Medica (UK; www.cellmedica.com) has been awarded an US$8.7 million research grant from the Cancer Prevention and Research Institute of Texas (CPRIT; TX, USA; www.cprit.state.tx.us) . The grant will support preclinical and clinical development of the company’s off-the-shelf chimeric antigen receptor-natural killer T cell (CAR-NKT) therapies to treat hematological and solid tumors. CPRIT awarded a US$15.3 million grant to Cell Medica in 2012, to support the establishment of operations in Houston, Texas and fund earlier development programs. Cell Mogrify (UK; www.mogrify.co.uk) has close on its seed funding, bringing the total raised to US$3.7 million . The company will use the funding to market novel IP and cell types generated using its proprietary direct cellular conversion platform, which will power the development and manufacture of lifesaving cell therapies across all therapeutic areas. Mogrify builds on a 10-year investment in the development of a systematic big data science approach  powered by next-generation sequencing and gene-regulatory data to identify the optimal combination of transcription factors (in vitro) or small molecules (in v ivo), needed to convert any mature cell type into any other mature cell type without going through a pluripotent stem cell- or even a progenitor cell-state. The company is applying this approach to address the issues of efficacy, safety and scalability currently associated with cell therapy development and manufacturing. StemoniX (MN, USA; www.stemonix.com) has secured US$14.4 million in Series B funding from a group of institutional and private investors . The new financing will allow StemoniX to expand its commercial operations at its sites in Minnesota and California supporting the company’s microBrain, microHeart and Discovery as a Service offerings. StemoniX will also use the financing to drive development of new products and services leveraging its industry-leading stem cell technologies. Vor Biopharma (MA, USA; www.vorbiopharma.com) has announced a US$42 million Series A financing round . Vor plans to use the proceeds from the financing to advance its lead hematopoietic stem cell-based candidate for the treatment of acute myeloid leukemia towards the clinic, and to further build its pipeline to treat hematologic malignancies.